A fascination for the stars, the sky, and the changing light has been distilled into a twinkling galaxy called Luminous. 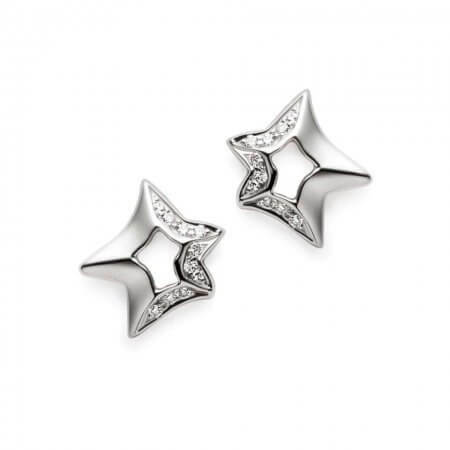 Inspired by the sea-journey made at the start of Bhanji Gokaldas’ career, this contemporary white gold and diamond collection is the perfect place to start your gift search. It was a big dream that pressed Bhanji onwards as he boarded a ship, leaving behind his wife and son. Our founder established his first jewellery workshop in Africa before winding his way onward to London in the 1970s. We admire the strength of ambition and confidence that drove Bhanji far from home in search of a good living for his family. This collection circles around the North Star, the sky’s brightest light – and one that guides weary travellers in the right direction. Have faith. 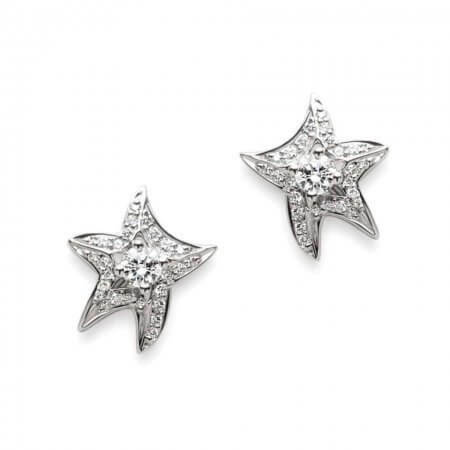 The woman who loves to shine will fall in love with these pieces – and you! 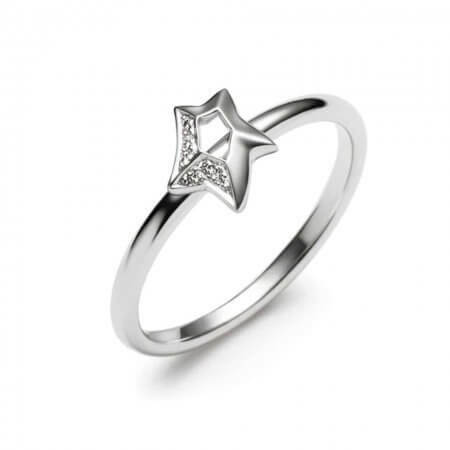 The collection has sparkling starlets, formations, and constellations to choose from. 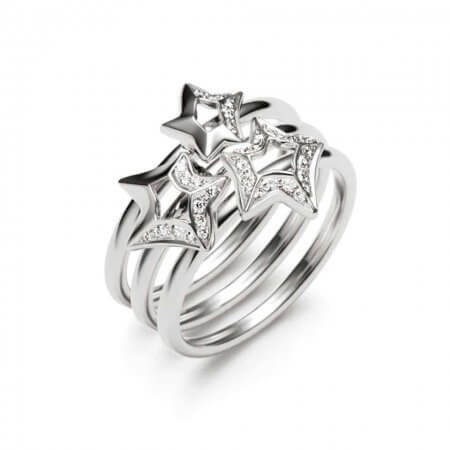 It’s all crafted from 18ct white gold and platinum, reflecting the pure white sparkle in the night sky. There is a spectrum of prices in Luminous, so you could start a collection or create a set. 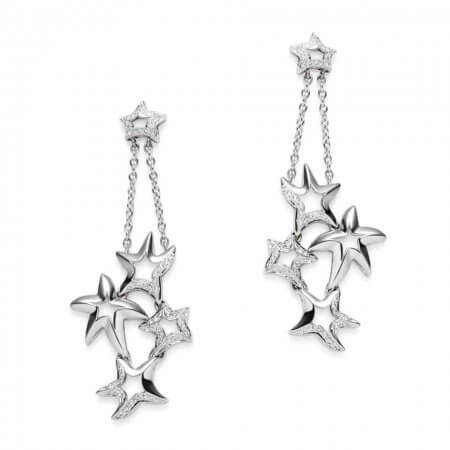 Make up your own gift by choosing any earrings, necklace and ring, all of which will perfectly coordinate (after all, the varying shape of stars is part of their charm). 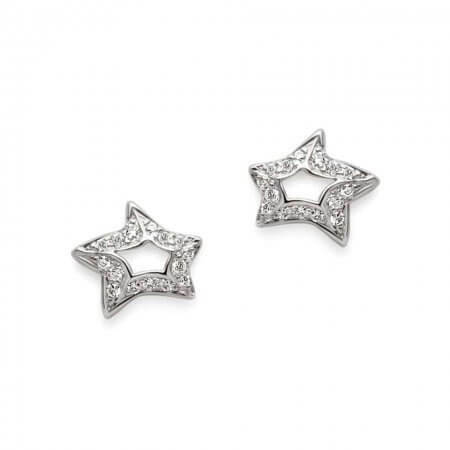 We’d recommend the Aurora earrings; with a cluster of swinging stars carrying 0.46ct of diamonds, they glitter in the light and flatter the skin, particularly by night. 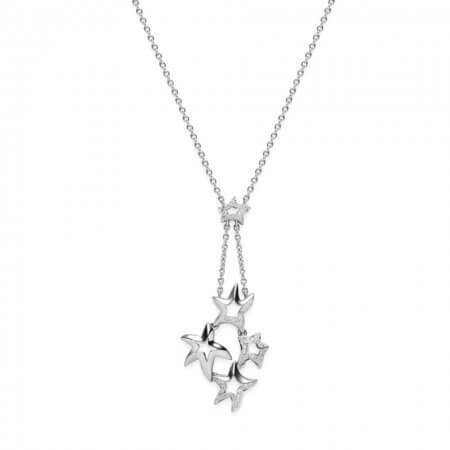 The matching Aurora necklace, with 0.23ct diamonds, is an excellent addition or solo piece. Complete your Aurora set with a white gold ring or a complete stacking trio if you want to send this gift into orbit! If you’re marking a special occasion, starting someone’s collection is a lovely idea. Do this by selecting one piece from a designer whose work you admire. 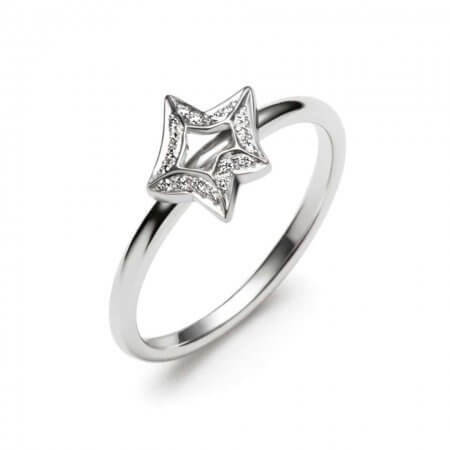 A white gold Aurora ring from Luminous (designed to be stacked together) can be complemented with additional rings as time passes, and each one will carry a special memory. 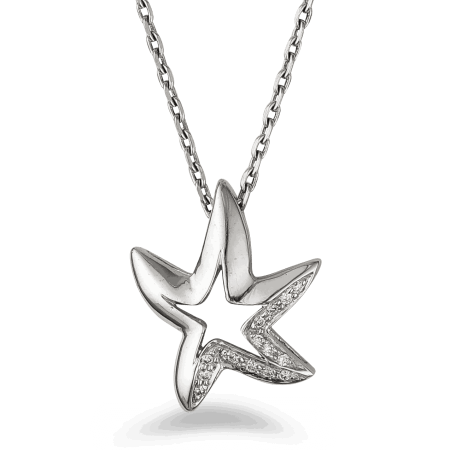 If you’re choosing a really special gift, consider the Esprit Necklace – a masterpiece from Cindy. 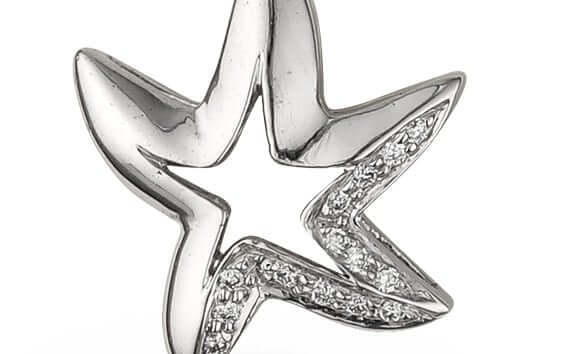 This dazzling long chain is punctuated with diamond-set stars (0.86ct) right along its length. 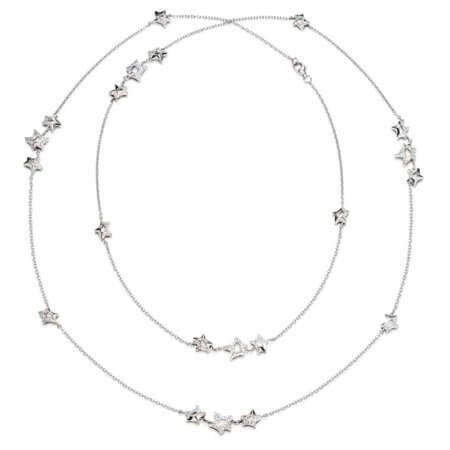 It’s glorious worn long, or wrapped around the neck twice to create a constellation of stars at her throat. Guaranteed to make someone feel like they rule your world. Cindy Dennis Mangam is a dynamic businesswoman in the UK jewellery industry. She’s a founder of the Jewellery Designers’ Collective (JeDeCo), helping to promote the work of independent designers, and a brilliant designer with an original imagination. Defined by its smooth lines, gorgeous white gold, and dreamy little diamonds, Luminous is a glowing collection for contemporary tastes. If you are buying for a woman who prefers the warm hues of yellow gold, take a look at our 22ct gold Sparkle collection – it’s also modern and on-trend with a style that’s special but relaxed.